Humans have an innate response to rhythm and lots of people turn to music to calm them down or make them more excited. But music can also be very distracting, especially in a work environment. Now, Doppel is a performance-enhancing wearable which harnesses this reaction, using a silent pulse to help people achieve a change of pace — it enables users to calm down, or increase focus and energy levels on demand. 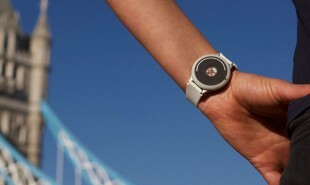 Doppel is worn on the wrist and controlled via a simple interface. To begin, users calibrate the device to their resting heart rate using the doppel app — this would be their base rate. The motions for the device’s controls were adapted from people’s natural, instinctive actions when they’re trying to invigorate or calm themselves. For example, firmly squeezing the wearable makes a fast beat kick in, while stroking the ridge on the interface slows the beat. Users can also control the intensity of the pulse by twisting the dial on the doppel. Doppel is currently crowdfunding on Kickstarter. 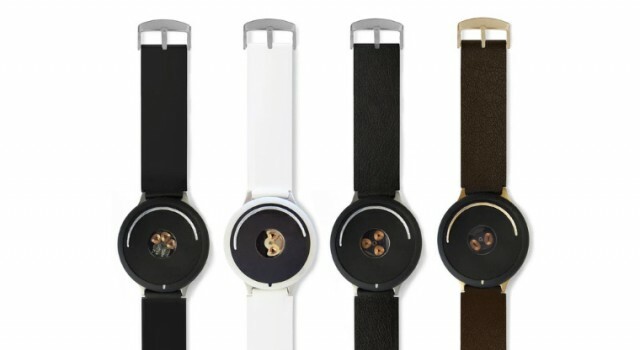 The device comes in a classic watch-like design, and pre-order prices vary from USD 70 – USD 110 depending on material and color. Are there other ways to allow us more access to our innate human responses?